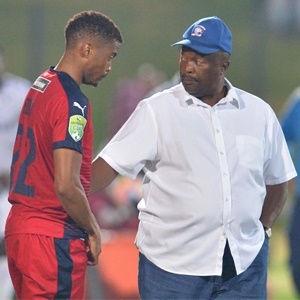 Cape Town - Jomo Cosmos owner and head coach Jomo Sono hasn't decided whether or not sign Ayanda Nkosi on a permanent deal from Orlando Pirates. Nkosi joined Cosmos at the start of the season on a loan deal from Pirates, where he struggled for first team action last season. Subsequently, he sustained a serious knee injury and could only feature for the National First Division side from November. "We don't know yet, we will discuss it when the season ends because talking anything positive or negative now might have an impact on him," Sono told KickOff.com when asked about the former Free State Stars hitman. "So we prefer to wait until the season ends, then we will decide. He is a good person, a very good person, a good player. But we haven't decided yet. "Immediately after the last game, we will decide whether we keep him or we don't keep him."